Laura Hill is an independent agent that works under REMAX. She came to Hyperlinks Media to integrate Houston Association of Realtors' widgets to ultimately design a user-friendly site for clients to search or sell homes. Most real estate sites are saturated with endless, confusing tabs when customers try to conduct custom searches. 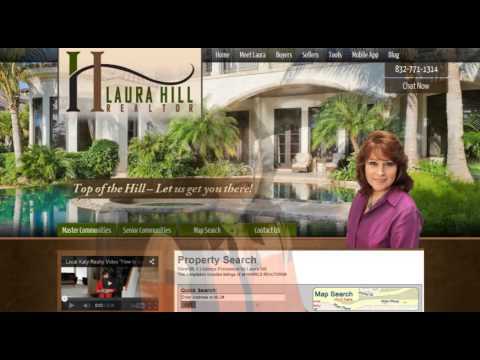 However we utilized HAR widgets along with custom CSS and PHP to create a navigable real estate site where users can save their custom searches, receive automatic home and market updates and also easily contact agent Laura Hill. If you need convenient, user-friendly real estate site web design, contact us today!